This is probably one of the most powerful strategies that one can use in everything from Seduction, Persuasion, Cold-Reading and in guiding someone in HOW TO ACT when they're with you. So what is this exactly? Basically, the concept of "Parts" is a metaphorical way of talking about independent programs and strategies of behavior. Programs or "parts" will often develop a persona that becomes one of their identifying features. 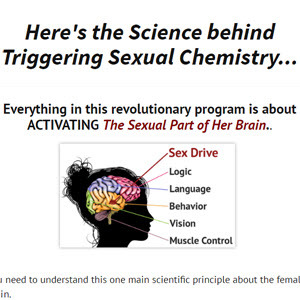 In Seduction for instance, we create this "part" of a woman by first Cold-reading her (that is, accurately Pacing her current reality), and then giving her a self-concept and self-image to live up to. (Leading). Actually giving this new "part" a persona and a Name is a blatant way of doing this. How do I specifically bring out "Parts" in someone? 3) I break down resistance by getting them to Meta-state, and then talking to the "Part of them" that is beneficial to my intent.